Remember when I covered Medieval Mode? It’s a great mode. Really fun for eight out of 9 TF2 classes. I’m reasonably certain you can guess which class gets shafted (and not just by arrows). I’m not sure why Valve gives me this 200 metal. I can’t use it. Yes, poor Engineer has had everything he’s ever built stolen from him, and left to fend for himself with a plethora of melee weapons designed to augment nonexistent sentry guns. He basically shouldn’t exist as a choice, and for the most part if you play Medieval Mode, you’ll find that his representation on cp_degrootkeep is sorely lacking. 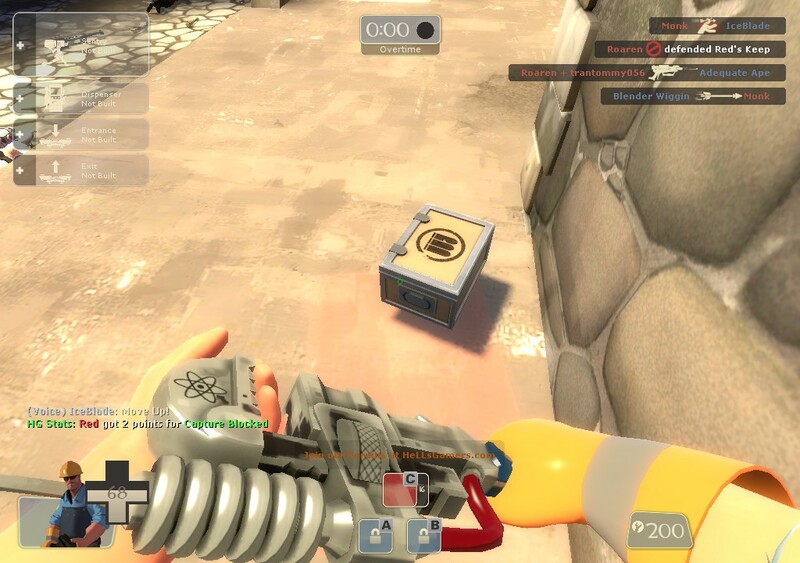 (If there are engies, that’s usually a sign your server is busting out the bots). Well, I’ve put a lot of thought into it, and decided that there is a simple fix that would go a long way towards making him fill an actual role that would improve Medieval Mode. Namely give him his Short Circuit back. Picture by Gen. DeGroot. Fittingly. 2) It would become the (only) counter to projectiles. Projectiles play a big role in Medieval. Mad milk can carry or spoil a push. Sandmen/cleavers are 2HKOing people. Arrows are everywhere. Right now, there’s nothing you can do about that. Now there would be. 3) It would negate the demoknight’s “Get out of Crit Melee Death free” card. By which I mean that a standard melee critical hit deals 195 damage. Thanks to the booties, 200 hp demoknights can annoyingly survive one, while most others can’t. The Short Circuit deals 5 damage, enough to bring the demoknights down to everyone else’s level in a fight. I know Valve doesn’t really balance Medieval Mode, but it really is a fun mode at the moment. It just has a few negative quirks to it, mainly how overpowered sniper and Demoknight are, and how useless Engineer is. This would aid both issues in one fell swoop. ← It is time… Gunslingers versus Highlanders! Season 3! I should probably add that this article is no longer valid as of the new Short Circuit. We should make a TF2tightrope beta project style medieval server. 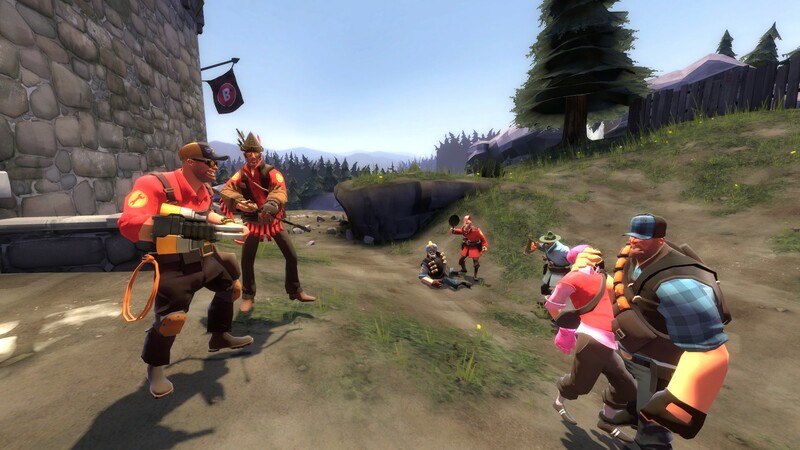 We could have pl_morrigan_alley and plr_hightower_event along with cp_degrootkeep in the map rotation, stat changes on unlocks, class limits, no damage spread, random mini-crits instead of crits, and ofcourse fun stuff like permanent halloween mode.